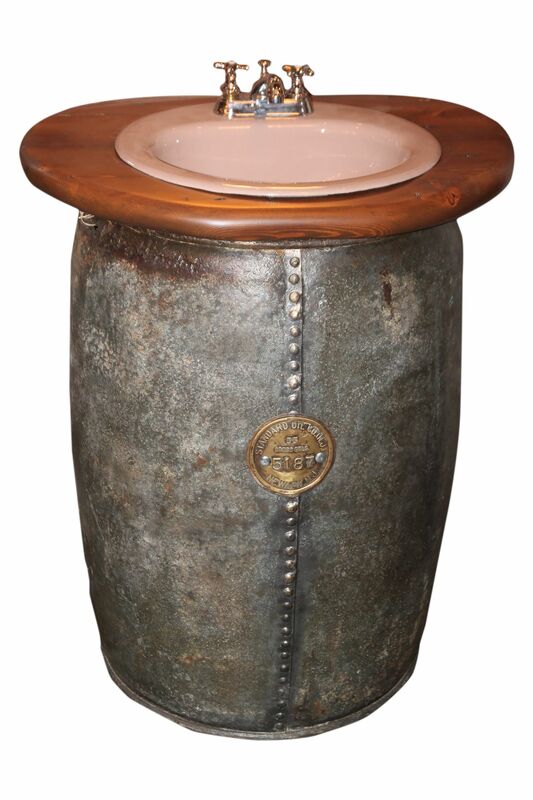 This Unique Industrial Oil Barrel Vanity will certainly draw a lot of attention! The American Standard Barrel was from Newark NJ and dated 1903. We have accented the barrel with a Vintage American Standard Original Sink from the 50s - 60s. We also complimented the sink using a Reclaimed Yellow Pine Top. The sink can be changed out. Like what you see but need something a little different? Design and create your own unique piece with us.